Ashley and Stefan tied the knot on a warm summer day at Horizon View Farms. 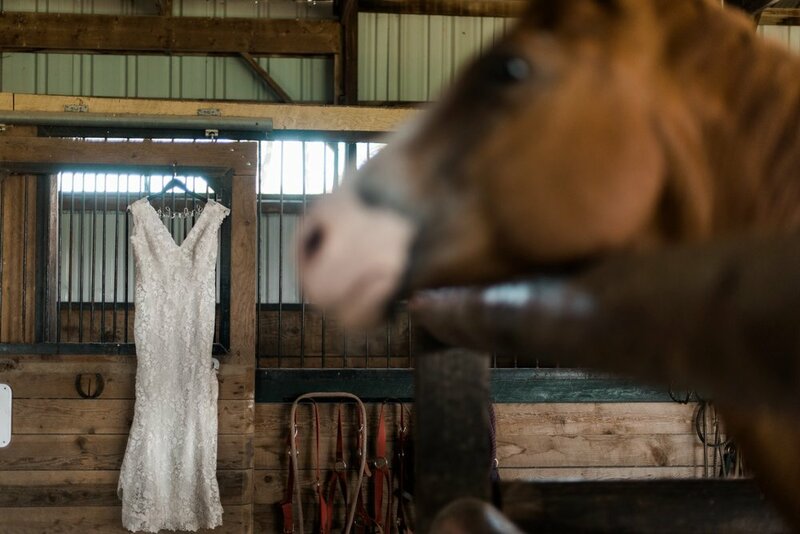 The pair got ready on site at the sweet farm house on the property, choosing to stay separate before their first look. 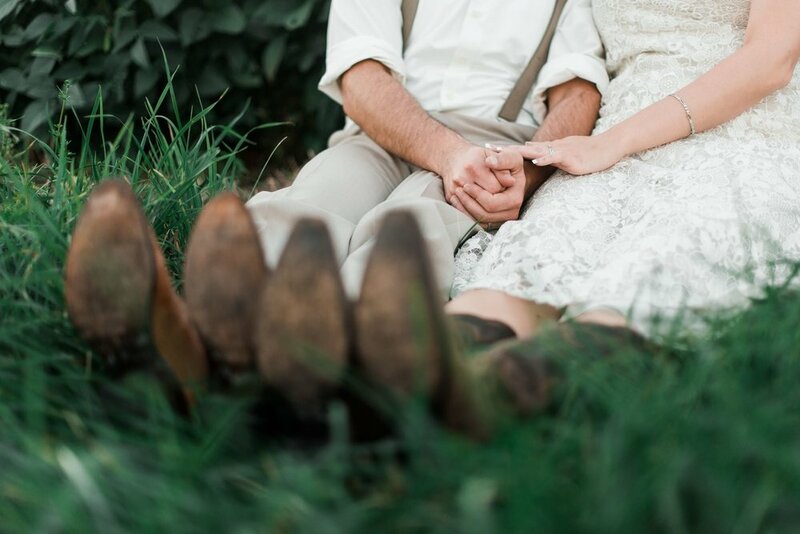 The couple chose to really bring a lot of sentimental details into their day, starting with lovely notes to each other written on the bottom of their cowboy boots. Stefan actually wore his father's boots, which had extra meaning since his father had recently passed away. Additionally, Ashley and Stefan each carried photos of their fathers with them throughout the day. 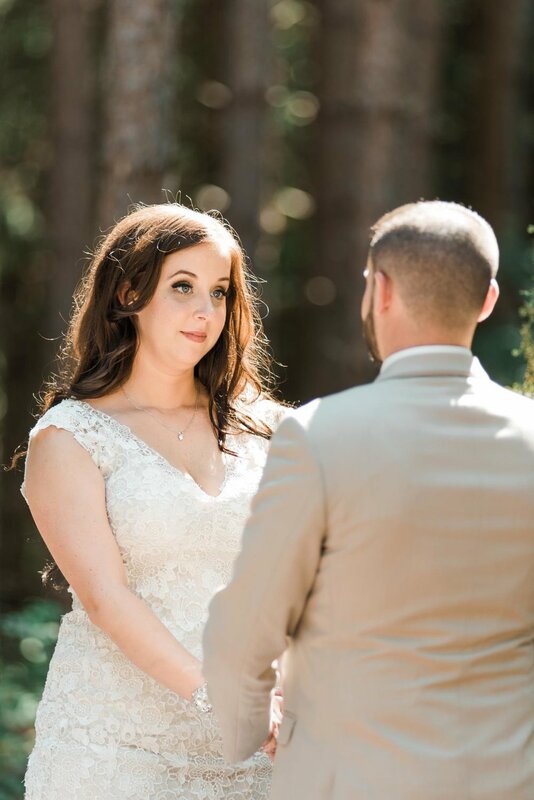 After getting ready, the pair had a brief first look (followed by many tears) before heading to the intimate ceremony in the woods. 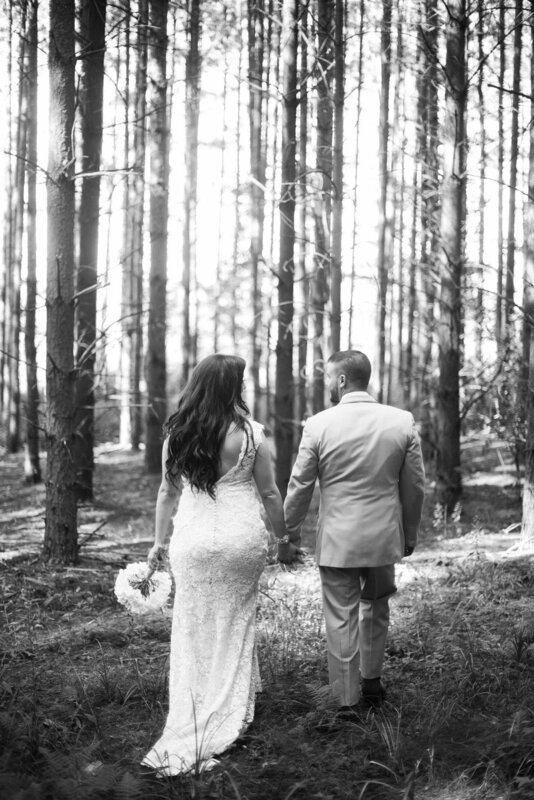 Ashley, escorted by her brothers, came down the aisle to a ceremony in a beautiful clearing in the woods. 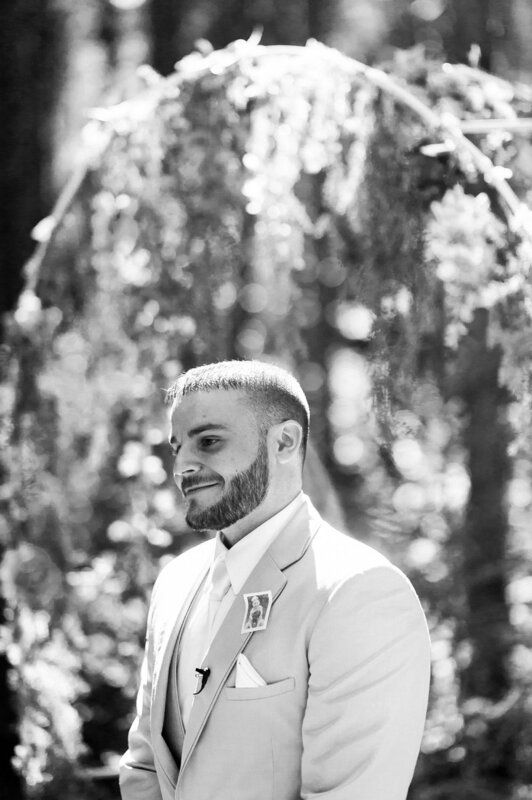 To add their own twist to the ceremony, the pair planted a tree instead of doing a unity candle, their way of showing how their two families came together to create their new family. Once the ceremony wrapped, the newlyweds opted to stay in the woods, sending their guest to cocktail hour. As the rest of the guests mingled, Ashley and Stefan stayed behind to take some fun, romantic portraits. The woods at Horizon View Farms really makes for gorgeous backdrops, as the sun streams through the trees and lights up the mossy forest floor. 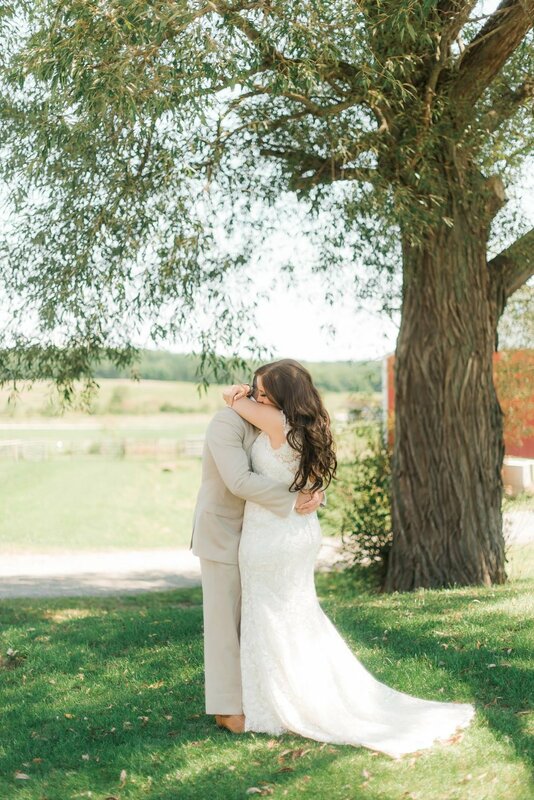 It perfectly complimented the rustic vibe the couple cultivated for their farm wedding. Once the portraits wrapped up, the pair headed to their lovely, vintage-inspired, rustic reception space back at the barn. 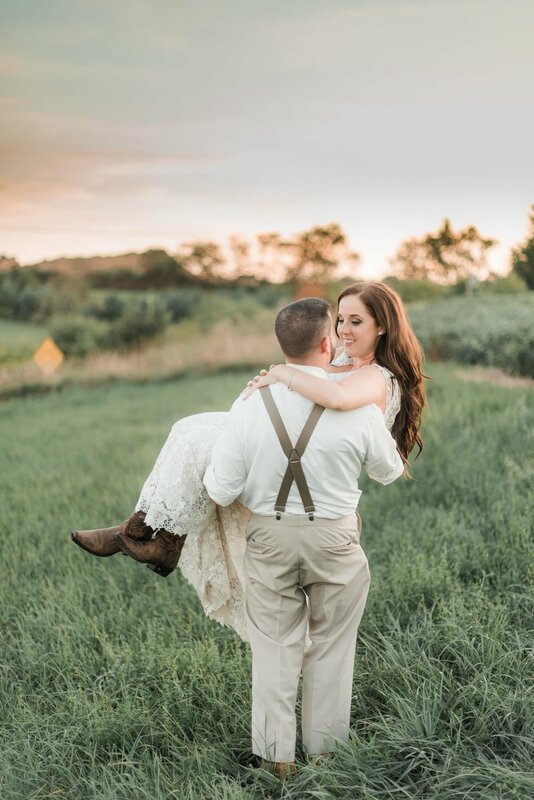 After their first dance, they snuck out to take full advantage of the gorgeous open fields during sunset. After running around (and even hopping on their ATV for a few photos!) during sunset, the newlyweds went back to party the night away, wrapping up their night with a gorgeous sparkler exit!